The late Lord Morris of Manchester was president of the Haemophilia Society until he passed away, aged 84, in August 2012. 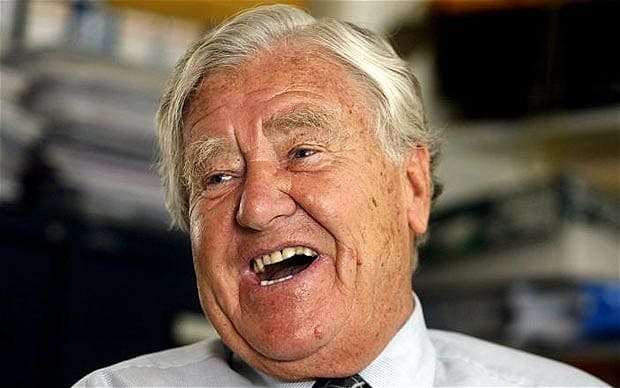 Lord Morris was a true inspiration in his work for our members, and is widely regarded as having done more for people with disabilities than any other British politician, compiling the first piece of legislation for disabled people anywhere in the world in 1969, and becoming the first minister for disabled people of any government in 1974. Throughout his parliamentary career, he campaigned consistently on behalf of disadvantaged groups, including victims of Thalidomide and Gulf War syndrome. As president, he campaigned tirelessly on behalf of the people and families affected by the contaminated blood tragedy. He persuaded Lord Archer of Sandwell to establish his independent inquiry, and continued to fight for justice through every available avenue until he passed away. Lord Morris is very much missed by all those who knew him, and will always be remembered by the bleeding disorder community as a great parliamentarian and a true friend.